The sluggish economic growth in the country needs to be stimulated through a clinical strategy before Sri Lanka once again falls behind her regional neighbours. The continuous decrease in GDP from 5% in 2014 to 3.1% in 2017 and a marginal increase to 3.5% in 2018 is a case in point. Government expenditure has increased while Government revenue too has increased, however the budget deficit has also increased. The increase in expenditure is mainly due to uneconomical projects launched by Government that do not generate new income. An expansion in the budget deficit unfortunately requires financing through loans or other means that eventually cause tax or price increases during the year. The improvement in the unemployment rate is a good thing, but this still comprises a large portion of recruitment into government service. The job market has shrunk due to growth contraction, and new employment opportunities have not been generated in the private sector to a satisfactory level. The growth contraction is mainly due to a decrease in private consumption and poor exports. The much expected employment opportunities from FDI and exports have not come in, due to falling FDI inflows and lack of economic diplomacy. With the surge in foreign interests in Africa, dubbed ‘the scramble’ and countries and companies rushing to strengthen diplomatic, commercial ties in the African continent, South Asia will be hard pressed to attract good FDIs. The country needs to lower interest rates, for the following reasons. Inflation being low giving a significant real return of approx. 10%. Credit growth has fallen significantly to 15%, reducing demand pressure on the economy. Finance company deposit rates are at 15-16% which they lend at 20-25%, in a 3% GDP growth economy, this is not a good thing. Moreover, people tend to move money to the finance companies, if these companies lend irrationally and lose money, depositors will have to be bailed out again with CBSL intervention. The country overall has seen a 20% drop in disposable income. An effective deposit rate cap could be introduced and priority sectors identified to prevent wasteful and consumption related financing. This however must be monitored, if not the strategy will fail. We need to ensure unwanted import demand is not created by managing the exchange rate and by increasing relevant import duties (not giving unnecessary vehicle permits – we have 3/4 times the number of vehicles this country needs. We must develop public transport as a matter of great urgency. Cutting unnecessary budgetary spending, if the budget deficit is large it will put pressure on the local markets preventing the effective reduction of rates. Unproductive SOEs, tamashas, must be avoided. Refinancing the foreign loan repayments this year through new foreign borrowings is a must. We must work on improving the credit rating, which has cost the country billions. Any foreign inflows must be used to build reserves. There is considerable investment into apartments. The Government needs to help the industry, given the huge investment, and the increased employment in this sector. Infrastructure, SME, exports, tourism, foreign investment into health and education (universities) must be supported and not sabotaged. Development must gather momentum – the refinance programs for SME and micro finance for priority sectors, must be done effectively. We need to bring in the mid-size tourism assets into the tax net. There is still a significant number of wealthy people not paying taxes. Incentives to pay tax, or an amnesty will help. There must be an effective monitoring mechanism to check fraud and corruption at tax/duty collection points, IRD, customs as pointed out by Business Leader Harry Jayawardene. At least now we need to get the stock market going by getting the state institutions to play a meaningful role. EPF, ETF, NSB, BOC, PB, SLIC, NSB, etc. The CSE that used to provide livelihoods to over 600,000 retail investors is today a ghost town. The EPF and other state funds have not invested for three years to stabilise the market. The market is now on a free fall with foreign investors pulling out. 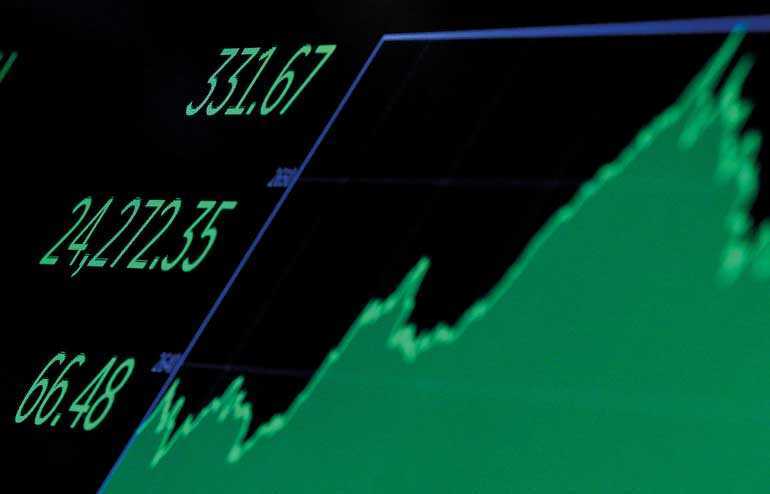 Let us hope the Government shows that it has some confidence in the country stock market by investing in it to give a message to the world that the Sri Lankan stock market is a good place to invest. Given that the engagement with the outside world is positive, we need to move forward by getting the Government back to work.